According to Wikipedia, the term laying the keel has “entered the language as a phrase meaning the beginning of any significant undertaking.” In traditional shipbuilding, the keel is the structural beam around which the hull is built. The keel acts as the spine of the ship, keeping it upright by providing ballast to counteract the lateral forces on the sail from the wind, and generating lift to “convert the sideways motion of the wind when it is abeam into forward motion.” A ship won’t sail upright or straightforwardly unless it has a proper keel. The importance and integrity of the keel was understood by the ancients. Wikipedia also tells us that “the word “keel” comes from Old English ceol, Old Norse kjóll, = “ship” or “keel”. It has the distinction of being regarded by some scholars as the very first word in the English language recorded in writing,” referring to Saxon ships in the 6th Century. Nowadays, laying the keel is the first milestone in the history of a vessel. Last November, Lori Hoeck and I set a keel in place. 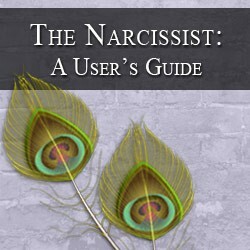 We began the collaboration that resulted in the e-book we will launch next week, The Narcissist: A User’s Guide. As I thought about everything that has led up to this moment of launch – the many blog posts that so intrigued me on Lori’s site, the offer from Sirius Graphix to give our words a beautiful presentation, and the additional support from those with whom we’ve shared the project – I realized more needed to be said. I needed to tell you more about our project’s keel. When Vikings built their ships, they split logs to make planks, planing them by chipping with an adz. They understood that wood has a tendency to wick water, cell by cell, so the strength of any board could be easily compromised. Each log’s composition was evaluated for knots or scars. The adz planing process accommodated the individuality of the wood by extracting the planks from its center marrow, where the radial pores of the cells could run parallel along the plank’s length. Jørn Olav Løset tells us the Vikings’ choppy, labor-intensive method actually contributed more to the individual plank’s strength by compressing the wood cells, creating a smoother surface that was more resistant to water. The direction these planks were placed in the boat’s structure allowed the adz markings to work at rejecting the water flow, as well. By working with the wood, not against it, the Vikings built stronger, more seaworthy boats than those of their contemporaries. They sailed longer distances and weathered greater storms. You can probably guess where all this is going. When Lori and I began preparing the keel for our e-book project on narcissism and its harmful effects on relationships, we had to re-examine. We knew we had independently arrived at similar conclusions from our own experiences in very dark places. Organizing and categorizing what we’d concluded for me meant revisiting the forest, in search of the hardwood that would comprise my contribution’s spine. What I found were the signs of pain, defense, and defiance. I viewed the markings that parasitical opportunism had emotionally inflicted. Some of the wounds had been very deep, and while certain areas had knit together in a haphazard emulation of unimpeded growth, others were barely protected with very thin scars, vulnerable. The forest, just as I remembered it, was very dark. If something grabbed me, its teeth could easily pierce me again. But still, I had grown. Flanking the keel are the strakes that Sirius has provided. Their visual representation is frankly stunning in its capture of the hard, dead-end realities of dysfunction, but leavened by the visual punning in a colorful peacock’s feather. You, who will read this book and pass it along to others in similar situations, will be the rivets, the ribs, and the caulk, keeping our hull worthy of the sea. There are many places to sail. Away from and to. PassingThru was conceived to be any number of journey-based reflections. But before any launch, there must be “a keel that is truly and fairly laid” with authentication. Consider it done. by the opportunity to post at Eliza Fayle’s Silver and Grace today about my other spine, the one that is affected by osteoporosis. Thanks to Eliza – what a great site she is building! and by the effervescent Jannie Funster, who has bestowed upon us a Scary Clown award, citing the wordsmithing on PassingThru. Ha! Jannie today you get more! Thank you! What a grand image you present! I do get the feeling we are at the beginning of something incredible. I just got off the phone with a person who told me of another person I should network with locally. The possibilities are awesome. This just gets better and better! .-= Lori Hoeck´s last blog .. Ebook on narcissism is narcissists’ Kryptonite =-. Avast, ye! And get yer sea legs! LOL Now I’m hearing myself think like a pirate. Awesome, awesome. Can’t wait to hear. Thanks, Lori. Well… as someone who has had the opportunity to take a look at the book, you did an amazing work there. Can’t wait for everyone else to read it! Hi Betsy .. what a lovely beginning descriptive post – sounds like you’ve written one for me = thank you!! Interesting about the first written word in Old English. I love your sentence “by working with the wood, not against it, the Vikings built stronger, more seaworthy boats than those of their contemporaries” .. reflects on what we should be doing today – working with what we have. Following through I now see that you have indeed been in the dark depths and have had to pull hard to bring your keel back to calmer waters – from where you can recover and move forward. Excellent description and example for us all to learn something from for our own lives .. shore up that keel, bring it back to shallow waters for repair, before straking our lives together again – and working forward with strength. Congratulations Betsy .. I’m sure the launch will be great in ten days or so .. enjoy the last of the processes .. Scary Clowns and fun life ahead ..
.-= Hilary´s last blog .. The Wigmaker, “Cottonpolis” and the first factory =-. Hi Vered – Thank you! We are getting close to the day! Hi Hilary – So many metaphorical tricks we can play with boats and the sea, aren’t there? Thank you for your kind words and furthering the analogy. It won’t be long until Tuesday! Congratulations on your Scary Clown award! I hope there’s a bit of clowning in the book, along with the Harrrrrrs. This is a great way to get us wishing you would RELEASE IT ALREADY. I mean, looking forward to reading it. Har. .-= Dot´s last blog ..Comment on Assorted Subjects by Davina =-. Hi Dot – LOL! I know! But trust me, it won’t be long now! And we are really looking forward to your reaction in particular. Thanks! Hi Betsy. I’m a metaphor nut. I love the pictures you’ve painted here, not to mention the description of the symbology involved in the design of this book. This feels like the beginning of a new chapter and I suspect that in writing this book you’ve sailed millions of miles forward. For myself, you and Lori have contributed in ways you can’t imagine. This is huge! .-= Davina´s last blog .. This Effortless Brilliance =-.